Food you wouldn’t expect in a Bar & Grill. 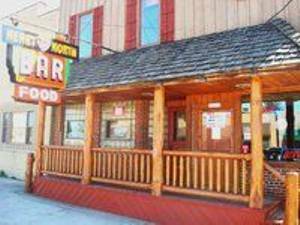 From burgers to steak, seafood and prime rib the Heart provides supper club quality in a casual Northwoods setting. Specialty nights including Italian Tuesday featuring homemade northern and southern Italian specialties. Whether it’s a light lunch, full dinner or that special occasion the Heart of the North is bound to become one of your favorite dining spots. Street Dance on July 3rd with live music from The Old Pine Road Band. Twas the Night Before Loon Day Street Dance with live music from Lake Effect on July 31st to celebrate the kick-off of Loon Day on August 1st.